TOMS has scored another high-profile collaboration, this time with Glamour for its annual "Fashion Gives Back" initiative, the ladymag's sixth. To fete its three limited-edition styles, the newsstand staple recruited five of the world's top professional clotheshorses—including the granddaughter of silver-screen legend Ingrid Bergman—to model the do-gooding kicks for its January 2012 issue. In addition to TOMS' policy of donating a pair of shoes for every one purchased, TOMS and Glamour will each contribute $2.50 per sale to benefit the models' favorite humanitarian causes, which range from providing clean water to rural communities in need to rehabilitating victims of Japan's devastating tsunami and earthquake in March. Elettra Wiedemann for One Frickin Day, an organization that motivates individuals to give a day’s worth of salary or time to charitable projects around the world. 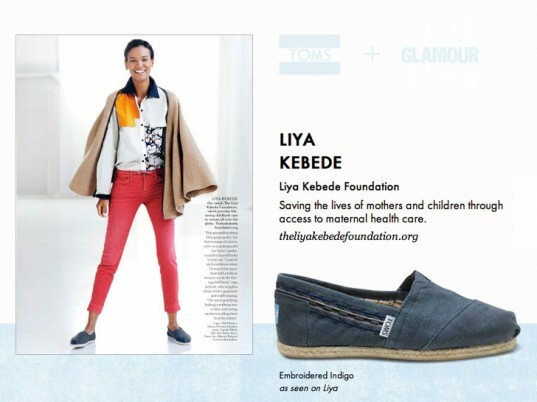 Liya Kebede for the Liya Kebede Foundation, which saves the lives of mothers and children through access to maternal healthcare. Tao Okamoto for Peace Winds Japan, a nonprofit that helps rehabilitate victims of natural disasters. 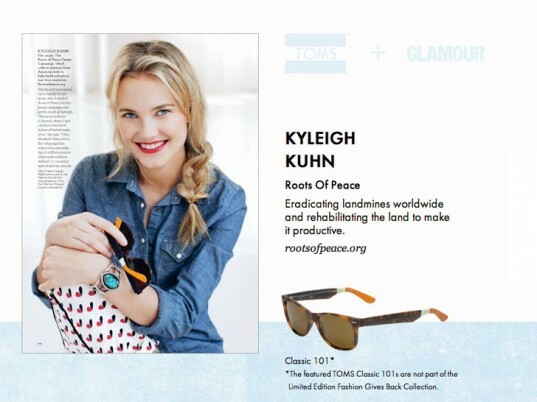 Kyleigh Kuhn for the Roots of Peace Penny Campaign, which collects pennies from American kids to build schools in war-torn countries. Amber Valletta for Charity: Water, a nonprofit that supplies clean and safe drinking water to people in developing nations. The limited-edition Glamour x TOMS “Fashion Gives Back” collection—only 23,000 pairs are available. Elettra Wiedemann for One Frickin Day, an organization that motivates individuals to give a day's worth of salary or time to charitable projects around the world. Kyleigh Kuhn for the Roots of Peace Penny Campaign, which collects pennies from American kids to build schools in wartorn countries. 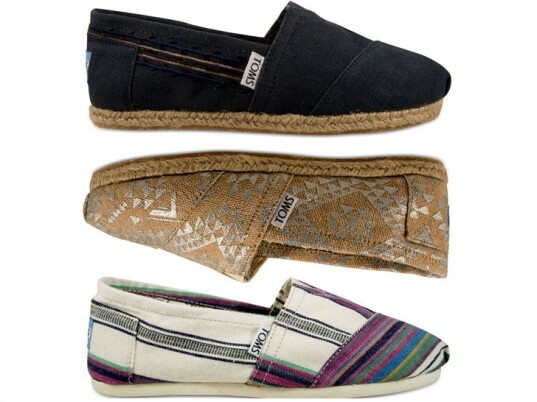 The limited-edition Glamour x TOMS "Fashion Gives Back" collection—only 23,000 pairs are available.